Welcome to The Right Car Stuff. 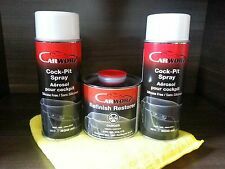 We are an authorized CarWorx, Race Glaze, and MetroVac distributor and the #1 seller of CarWorx Refinish Restorer and Race Glaze products in the USA! Customer service is paramount to our success. Thank you for your business! Race Glaze Polish & Sealant 2nd Generation 16oz- Simply the Best! Refinish Restorer-Beats Wipe New, Black Plastic Restorer, Back to Black, Renu! Refinish Restorer-Beats Meguiars and Mother's Back to Black Plastic Restorer! 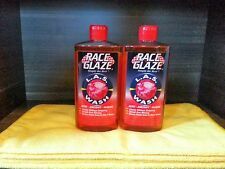 2 Pack- Race Glaze Polish & Sealant 2nd Generation 16oz- Simply the Best! 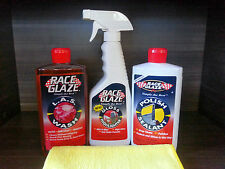 3 Pack- Race Glaze LAS Car Wash- Simply the Best! Race Glaze Gloss Highlighter- Boat Detail Spray for Water Spots and More!